NEW YORK (PRWEB) – To commemorate the 30th vintage of iconic Italian wine Ornellaia and the 10th edition of the Ornellaia Vendemmia d’Artista project, the iconic Bolgheri estate invited world-renowned artist William Kentridge to create special-edition labels centered on the theme of “carisma,” or “charisma.” The art, created to represent the character of the vintage itself, will adorn a limited number of Ornellaia 2015 wine bottles. Continuing its partnership with Sotheby’s, Ornellaia will donate 9 rare lots to be auctioned off during a gala evening at the Victoria & Albert Museum, and all proceeds will be used to support the arts and art education at the V&A. For this year’s edition of Ornellaia Vendemmia d’Artista – a project launched in 2009 to showcase the unique relationship between fine wine and contemporary art – South African artist William Kentridge developed a site-specific art installation, designed a limited series of 111 large-format bottles, and created a limited-edition label that will appear on one of the six bottles in each case of Ornellaia. As explained by William Kentridge, the images on the labels depict the work of winemaking, specifically the unique combination of craft and processes involved in the vendemmia, or the wine harvest. The theme “Il Carisma,” or “charisma,” was selected for the 2015 vintage, as it perfectly captures the stunning spirit and energy of this wine. Its rich, deep color suggests a wine of great texture and intensity, while the fruit-rich nose shows both ripeness and freshness, with hints of classic balsamic and spice. On the palate, it is rich, dense, and full-bodied, with an exceptionally tannic texture that is simultaneously dense and velvety along the palate. The lengthy finish concludes with an impression of firmness and delicate hints of spice. On May 23, the spotlight will shift to the celebratory event, a benefit auction featuring 9 rare lots, which will include the special bottles created by William Kentridge for the Ornellaia 2015 Il Carisma. Stephen Mould, Sotheby’s Senior Director and Head of the European Wine Department, will preside over the gala dinner and auction, and all funds raised will be donated in their entirety to the host sponsoring the event, the Victoria & Albert Museum (V&A) in London. Vendemmia d’Artista celebrates the unique character of each new vintage of Ornellaia. 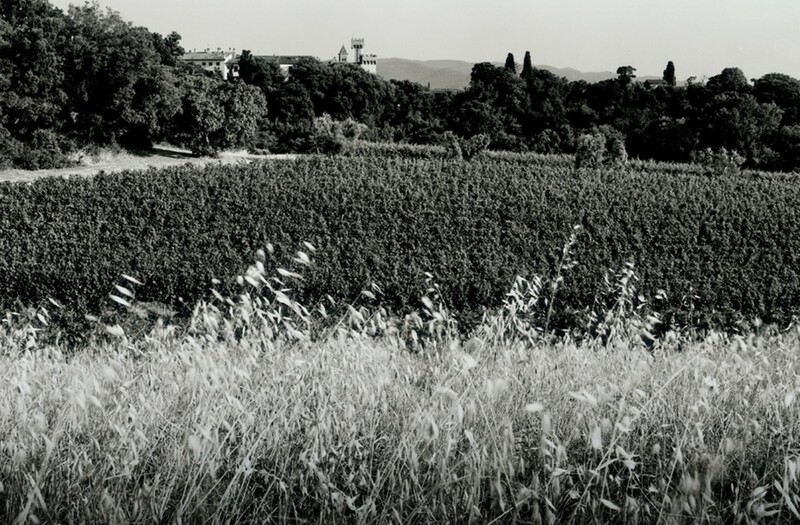 Every year since the release of Ornellaia 2006 in May 2009, a contemporary artist creates a site-specific work of art and a series of limited edition labels, drawing inspiration from the word chosen by the Winemaker to describe the character of the new vintage. The Vendemmia d’Artista project includes a label created by the Artist for a single bottle in each wooden case of Ornellaia (containing six 750ml bottles). As in previous years, the project provides for a limited edition of 111 large-size bottles (100 Double Magnums (3L), 10 Imperials (6L) and 1 Salmanazar (9L) each individually numbered and personally signed by the artist. The V&A is the world’s leading museum of art, design and performance. It was established to make works of art available to all and to inspire British designers and manufacturers. Today, the V&A’s collections – which span over 5,000 years of human creativity in virtually every medium – continue to intrigue, inspire and inform. The Museum holds many of the UK’s national collections and houses some of the greatest resources for the study of architecture, furniture, fashion, textiles, photography, sculpture, painting, jewelry, glass, ceramics, book arts, Asian art and design, theatre and performance. NAPLES, Fla. (PRWEB) – A dazzling journey through Argentina donated by Bodega Catena Zapata exceeded expectations at the Naples Winter Wine Festival auction with a winning bid of $260,000, making it one of the top lots at the leading charity wine auction in the United States. The lot—which combines wine, art, food, and culture in a getaway for four—inspired spirited bidding during the auction, with auctioneer Humphrey Butler hammering it “Sold!” to Joan and Bob Clifford for more than a quarter-million dollars. The journey begins in Buenos Aires at the Faena Hotel, the glamorous property designed by Philippe Starck in the Puerto Madero neighborhood. Chefs at the city’s top restaurants—Tomás Kalika of Mishiguene, Donato De Santis of Cucina Paradiso, and Germán Martitegui of Tegui—will open their kitchens for private, behind-the-scenes culinary tours. A visit to the studio of the renowned Buenos Aires artist, Luti Vernet, will include sitting for a portrait. And Nicolás Catena, Bodega Catena Zapata’s third-generation winemaker and considered the father of the modern Argentine wine industry, will host an intimate lunch with his wife, Elena. Then it is on to Mendoza, the country’s premier wine region, with relaxing stays at the Park Hyatt hotel and La Vendimia, the Catena family’s weekend retreat outside the city. An in-depth visit to the Catena Zapata winery, led by Dr. Laura Catena, will include a blending session to create a unique personal bottling to take home, along with other treasures from the Catena cellar that were part of the Naples auction lot, including: double-magnums of Nicolás Catena Zapata, the winery’s flagship blend of Cabernet Sauvignon and Malbec, as well as current releases of their pure Malbec releases, including Malbec Argentino, Fortuna Terrae, River Stones, and Mundus Bacillus Terrae. 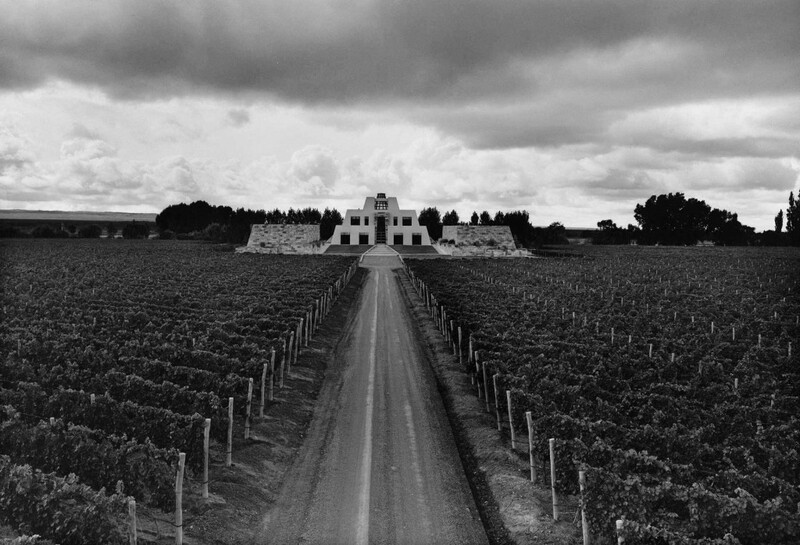 The trip will conclude with a celebratory night at chef Francis Mallmann’s renowned restaurant, 1884, and tango at Bodegas Caro, the winery that was created in partnership by Nicolás Catena and Domaines Barons de Rothschild, whose holdings include Château Lafite Rothschild. The generous bid on Bodega Catena Zapata’s donation helped boost the total proceeds of this year’s Naples Winter Wine Festival to $15.15 million. The funds will benefit the Naples Children & Education Foundation, an organization supporting charitable programs in Collier County, FL. Since its inception in 2001, the Naples Winter Wine Festival has raised more than $176 million for children in need. Bodega Catena Zapata has been at the forefront of wine culture in Argentina since their vineyards were first planted in 1902. Over the past 40 years, the pioneering vision and tireless work ethic of Nicolás Catena Zapata has been rewarded by the fact that Argentine wine now stands shoulder-to-shoulder with the best wines in the world. Nicolás Catena Zapata is the only South American to have received both Decanter’s Man of the Year Award and Wine Spectator’s Distinguished Service Award. Under the current direction of winemaker and managing director Dr. Laura Catena, Bodega Catena Zapata continues to lead Argentina into the next century of winemaking, balancing a ceaseless study of Argentina’s high altitude climate and soils with the family’s century-old heritage. For more information about Bodega Catena Zapata, please visit http://www.catenawines.com, or visit Catena’s U.S. Importer at http://www.mundovinoimports.com. 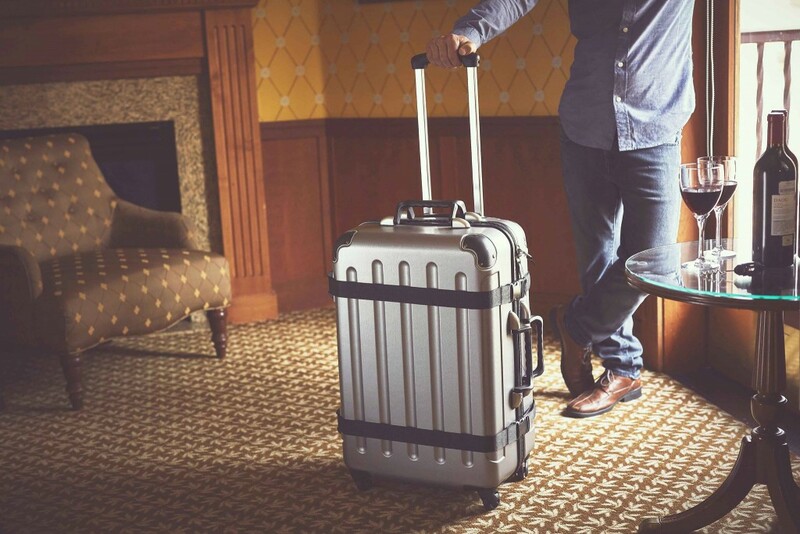 Napa, CA (PRWEB) – FlyWithWine, the leading retailer of safe and secure wine travel luggage, announces the concierge same day/next day delivery program in Napa/Sonoma. Solving the problem of worrying how to ship wine home safely and avoiding high-priced shipping costs, FlyWithWine’s VinGardeValise® is a wine enthusiast’s dream. It is well-built, easy-to-roll luggage that comes in 8 and 12 bottle capacities. If you are not carrying a full case, then you can pack clothes or other items too. The best part is that you or your local concierge can have the suitcase sent directly to your home, hotel room, or Air B+B. Anyone who travels with wine knows how difficult and expensive it can be. FlyWithWine’s VinGardeValise® offers ultimate reusable protection, convenience, and versatility. Easily and safely transport your wine anywhere you want to go. Fully packed, it typically weighs between 43-50 lbs, staying under airline limits. It also conforms to all applicable TSA, FAA, and airline luggage standards. 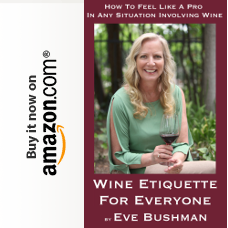 “Being someone who regularly travels the world with wine, I know how frustrating it can be to get stuck with expensive shipping costs and no guarantee on ensuring the integrity of your wine. The first time I used my VinGardeValise, I knew I had to share it with the world. Our free same-day delivery service in Napa and next day in Sonoma, and free ground shipping in the continental United States, allows us to do just that. Don’t take my word for it, try it yourself and let your senses be your guide.” Ron Scharman, CEO FlyWithWine.com. The removable wine cavities are especially designed to hold a combination of bottles of almost any shape. The suitcase includes a special Burgundy shaped cavity and a Bordeaux cavity that has removable “shoulder” pads to ensure a snug fit. From Champagne to Riesling, you’ll never have to worry about the safety of your bottles. In addition, there are optional special inserts for magnums, wine glasses, and custom needs. Thoughtfully designed, FlyWithWine’s VinGarde Valise® is the most versatile suitcase your wine lover will ever own. Buy online http://www.flywithwine.com/products/vingardevalise and get free same-day/next day delivery in Napa/Sonoma and free shipping to any location in the continential United States. FlyWithWine is the leader in superior wine travel luggage. Operated by a group of wine enthusiasts who live in Napa and travel around the world, we are inspired by solving the complications involved with transporting wine safely and securely. By combining style and stability with a durable design, wine enthusiasts can transport their wine safely by plane, train, automobile, jet ski, boat, hang glider, submarine, gondola, motorcycle, bicycle, scooter, and more. (Please travel safely). The only auctions we’ve ever purchased wine from were Juan Alonso’s at Le Chene benefitting the senior center, Circle of Hope’s Vine 2 Wine and an event I co-hosted: Toast and a Wish. Those were little auctions in comparison to the ones held in Napa Valley that raise hundreds of thousands of dollars, or any auction – ever – held by a respected auction house like Sotheby’s or Christie’s. Why no those? Because we don’t have that kind of money. If you do buy wine via wine auction, or are a vinophile, you’ve undoubtedly heard the story of Rudy Kurniawan by now. (I’ll be just abbreviating his name to RK for the rest of this article, as he’s all over this.) RK wormed his way into the wine world first by buying wine in large amounts, possibly driving up price and demand, and then started selling large amounts of it. 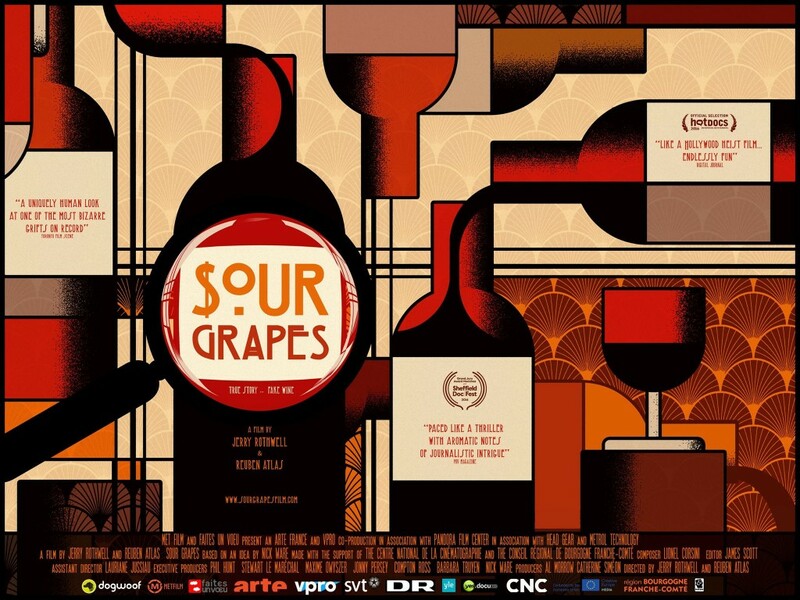 A new film on Netflix, Sour Grapes, is an a eye-opening documentary on RK that I just watched before writing this article. The wine RK sold via auction couldn’t be pinpointed to a specific source or cellar other than his own and he relied on the opinions, or so he said, of other respected somms of their quality. There were no actual tests done by the auction houses to authenticate the wines before putting them up for sale. Things unraveled when one millionaire buyer and a French winemaker started to question RK more and more. The film is compelling to watch as the sleuths uncover RK’s work and, finally, get into his Arcadia home where everything from a printing press to bottles soaking in a sink long enough to remove their labels are exposed. We learn in the film that Petrus didn’t make a magnum for the vintage year RK sold, glossy photos of bottles in the auction program were of fakes, one winery didn’t even exist in the vintage years sold and while a label looked brand new – albeit misspellings appeared – the foil capsules were definitely from older vintages. Also of note in the film was a person I recognized in several shots drinking with RK: Calogero Drago of Pasadena’s Celestino restaurant. I Googled their names together and found nothing. But, if you watch the film, you will see and hear from many people that trusted, and some that still trust, RK. I found that interesting too. We wine people are a tight bunch. If I find someone I like to taste with, that is sharing some nice wines, I might not ask/care how the wine was obtained. But I would be embarrassed to have liked a wine that turned out to have been blended by someone other than the true winemaker. There is a scene with Christian Navarro of Wally’s Wine where a few bottles of Rudy’s wine is brought in and tasted, two or three people claim it as being perfect, and Navarro calls it out for crap. That was hard to watch. Then this hit my newsfeed: a report of Fake Whiskey in the auction market. The article highlights a 1903 Laphroaig but the story doesn’t end there. Like RK’s cellar, these whiskies may still be out there and available via auctions, and in personal collections. How much fake wine and whiskey could there be on the market? How much may already be purchased but the buyer left unaware? Are the auction houses now taking more serious precautions? I’m a wee bit grateful not to be a millionaire right now. A little more on the ongoing story of Rudy Kurniawan. Follow more Sour Grapes news on Facebook. The SCV Custom Crush Services, owned by Pulchella Winery winemakers Nate Hasper and Steve Lemley, has dozens of clients making wine at their state-of-the-art facility – who may have started on their journey after attending winemaking classes like Winemaker for a Day. Winemakers and wine fans alike may also have come to SCV Custom Crush Services after reading about their recent awards in Wine Enthusiast magazine. Now you have the same opportunity to learn why Merlot is the best blending grape and why Petite Sirah is sometimes added for color alone, when Hasper and Lemley lead vinophiles in an exclusive wine blending class for 50 students only on Sunday May 22, from 1:00 p.m. to 4:00 p.m.
“When have you ever had the chance to relax in a winery barrel room and learn first hand, from winemakers, the secret of blending wines?” Lemley asked with a grin. 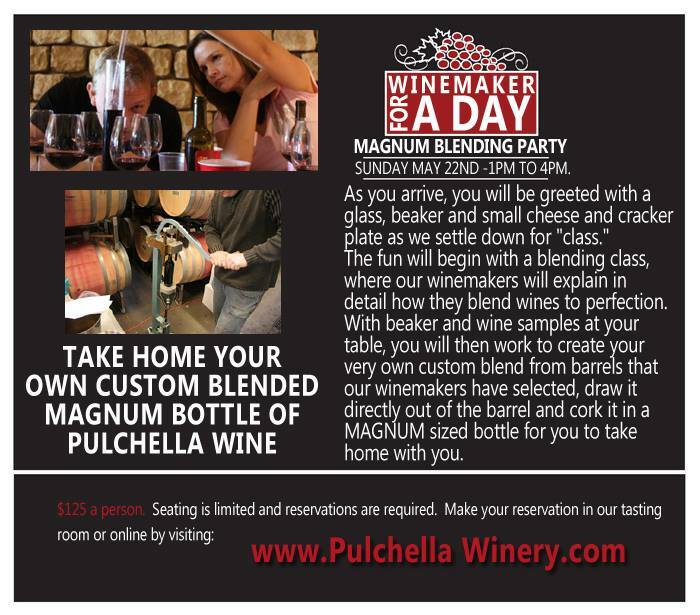 “On top of that, take home a magnum-sized bottle of your very own custom blended creation drawn straight out of the barrel. Just think what your friends will say when you open your magnum and tell everyone that you actually blended the bottle yourself. 94 points- highest rated Zinfandel in the entire California central coast. 91 points and featured article in November issue. 91 points- highest rated Tannat in Adelaida sub district. The last time I co-chaired a big wine event, Pour Into Haiti with Roman Weiser and David Schutz, I counted on these two very capable men to harness the winery help while I could focus on being the social networking butterfly. With the Circle of Hope (COH) taking over the Betty Ferguson Foundation’s Vine 2 Wine…I was able to attract the big gun behind the former SCV Wine Classic, Jeff Jacobson, to persuade and secure the wineries. Enter the inaugural Vine 2 Wine CLASSIC. The event committee, headed by expert event planner Shawneen Rubay and COH Executive Director Ray Tippet, included Judy Penman, Cheryl Gray, Steve Cravitz, Nicole Weir, wine chair Jeff Jacobson, with Janice Murray and myself as the event co-chairs. This was far beyond my realm. Several meetings whizzed by. Fast forward to the morning of the event and my husband Eddie and I found ourselves picking up dozens of cases of wine from Jeff’s house and helping him unload at the event site. It was dizzying working alongside the volunteers all morning. When it was lunch time – Jeff had arranged for all of the volunteers to have lunch – he gave the wine pourers a quick pep talk and…we were off. Once inside guests could look at original art, have some lunch, listen to music, bid on silent auction items, partake in a “wine pull”, enjoy the Beer Garden of Hope or…taste wine. At one point our local radio-personality Janice Murray called me up to the microphone. She said to tell people some kind of wine hint, my mind when blank, I think I stammered, “Stay away from my library wine tables, that’s all for me” in my usual charming way. The “Library” wine donators weren’t made public before the event as well as exactly what rare wines may be available. And, since we had to move from a few tents to a few tents plus three pavilions, two were named after Betty Ferguson Foundation Founders Judy Cox and Marjanne Priest and one was named for the Circle of Hope Founder, Colleen Shaffer. Elizabeth Hopp: 2000 Talley Pinot Noir. Cathy Martin: 2006 Silver Oak Magnum at the Circle of Hope table. Leah Granen: The Martinelli table. Marlee Lauffer: 1999 William Selyem Pinot Noir served at Jeff Jacobson’s library wine table. Amanda Bahnmaier: Clos La Chance 08 Estate Cabernet Sauvignon and Pulchella. Kelly Abbott: The dry Italian sparkling wine and Pulchella. Dr. Andrew Friend: 06 Joseph Phelps Cabernet Sauvignon at the Jacobson library table. Janice Murray: Rotari Brut and Rose. Michael Parks: Leona Valley Malbec. John Geraci: Morello Pinot Noir and Les Deux Chats Zinfandel. Ramon Rebel: A Chateauneuf-du-Pape from the French Wine Table. And a nice, non x-rated quote from Steve-looking-sharp-Chegwin: “It’s like the Vine 2 Wine and The Classic Merged!” Ding! Ding! Ding! Clyde and Colleen Shaffer, Judy Cox, Marjanne Priest, Moe, Linda and Alex Hafizi, Laine Hedwell and Marlee Lauffer, Judy Penman, Michele Buttleman, Jim Walker, Bob Keller, Cheryl Gray, Ray, Janey and Jason Tippet, Geoffrey and Shawneen Rubay, Amanda Bahnmaier, Don and Cheryl Dellepiane, John and Sheryl Geraci, Steve and Cathy Martin, Mike and Pam Ripling, Ken and Patrice Rifkind, Sharyn Buncick, Shaun and Ivy Pierson, Sharon Lindquist and all of her lovely Wine-y Women, Oriana John, Bruce and Tamara Brown, Darrin and Cathy Craig, Steve and Rose Chegwin, Yvonne Matute and her daughter, Christina Scott Haselbusch, Ron Horton, Rich Soto and Jane Bettencourt-Soto, Larry Barbro, Lois Bauccio, Kathy Crone, Dan and Janine Jones, Bob and Susie Majesky, Patrick, Barbara and Brittney Raach, Terry Bucknall, Maria Strmsek, Michael Parks, Diana Vose, John and Tera McHugh, Maureen McKaughan, Leah Granen, Jenifer Costin, Kelly Anderson Phen, Linda Woolf, Judith Cassis, Dr. Rex Baumgartner, Ramon Rebel, Shelley Hann, Mary Reuschel, Bob and Susie Majesky, Kevin Kistler, Dr. Andrew Friend, Liz Seipel, Ron Horton and the two very nice undercover “Matrix-Looking” policemen. So many local pals stepped up to volunteer! Janice Murray, Sue Saffir, Steve and Amy Elzer, Jeff, Joan and Julie Jacobson, Eddie Bushman, Steve and Julie Cravitz, Dean Funk, Mary Bradway, Tom and Jenny Lukas, DiMaggio Washington, Les Hershberger and Mamie Wong, Roger and Gwen Gertz, Chef Tamra Levine, Claudia Sheridan, Danise Davis, Jami Kennedy, Doug Penman, Ralph Gray, Diane Ghilardi, Nicole Weir, Nick Morello, Steve and Megan Lemley, Nate Hasper, Wendy Ora Roberts, Lee Yoon, John Burton, Casey Boshae, Corey Jones, Mark Abraham, Randy Bartlett, Russ and Nancy Briley, Denise Cardamone, Priscilla Faubel, John Whitman, Jim Schaffert, Corey Ann Koontx Jones, Lisa Van Blarcom, Roman Weiser, Beth Heiserman, Greg Moss, Krystal Anderson, Heidi Brook-Meyers, Randy and Cherie Bartlett, Corey Jones, David Reynolds, Kelly Abbott, Kathy Rutherford, Gary Stein, Russ and Leslie Bretall, Scott and Susan Hand, Don Kelly, Steve and Julie Sturgeon, Jo Ann Vindigni, Don Kelly, Tim and Barb Heinzel, Patty Blazer, Darrell and Judy Gilbert, Lisa Valenti, Paul Vernier, Laura Romano, John Whitman, Bonnie Stauch, Mike and Sue Wynn, Mark and Pat Abraham, Don and Donna Heese, Sandy Brandon, Mike and Sue Wynn, Wayne and Rhonda Durand, Don and Joyce Woodmansee, Ken and Marilyn Euken, Friends of Kevin Byrne, Kevin Byrne, Saheer and Sabrina Ali, Heidi Wiss, Beth Greenwald, Don and Diane Scudamore. Dave Ford & the Last Set, Kelly’s Lot and Stagg Street Band Rhythm Section. Walking through the venue I happened upon a young woman, Brittney Westover, that sang between band sets. Brittney works, and often performs, at the Roman Holiday Wine Lounge. She brought me to tears when she sang from an opera for us today! Georgette Arison, Jaylene Armstrong, Janine Ayers, Lisa Barr, Donna Boydston, Evie Cook, Hector Fernandez, Laurie Finkelstein, Sandy Fisher, Zony Gordon, Olga Kaczmar, Cheri Marcovitch, Gerda Maxey, Jane Mick, Trae Mundt, Patty O’Hearn, Laurelle Quintero, Dale & Pat Thayer, David Veal, Lynn Wolverton-Parker, Leroy Ward and Ross Walhburg. Canyon Country Magazine, Elite Magazine, HotSpot SCV, KHTS, Santa Clarita Valley Magazine, The Signal, THEsaurus FILMS, A1 Rentals, Andy Gump, Burrtec, Copper Eagle Security, KEI Management, KISS Storage, Mann Biomedical Park, Newhall Ice, Roman Holiday Wine Lounge, Santa Clarita Photographic Studio, Sheila Veloz Breast Imaging Center, SOS Productions, Southern Wine & Spirits of Southern California, International Wines and Wine Warehouse. Anderson Valley Brewing Company, Lost Coast Brewery, Napa Smith Brewery and Mission Brewery, were manned by volunteers Doug Penman and Sam Senner. A note on Sam: He flew in from Alaska to assist at the event! He not only helped in the Beer Garden of Hope but also stepped in to make pulled pork with the many other tireless volunteers. 2009 Indaba Chard (So. Africa) — may have enough for the White wines tables. Plus, the older vintages poured at the Navarro, Martinelli, Talley, Whitcraft and other tables. 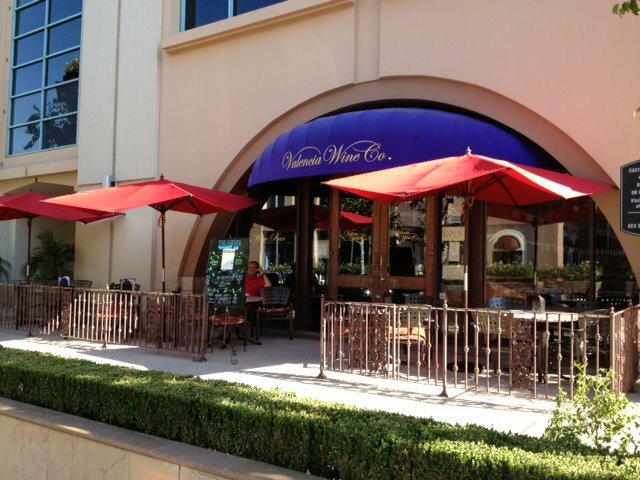 I often run into longtime marrieds, Robert and Darlene Gandara, as they seem to enjoy an occasional end of their workday at Valencia Wine Company over a glass or two of Chardonnay. I got to know them a little better, and appreciate their amazing generosity, when Robert gave his all for our Senior Center in the last Dancing with Our Stars benefit. And, as with most wine people, once getting together, over wine, the secrets start to tumble out. Darlene continued to torture Robert and tell me the rest of the story: He couldn’t tell which was the Chardonnay at all. This is when Darlene began to use her “dot” method. Although, Robert wouldn’t agree, she began putting dots on her bottles when a new-to-wine-and-no-clue relative opened a bottle that they shouldn’t have. Orange – A fruity summer wine that doesn’t have to be aged to be enjoyed. Yellow – Not an overly expensive wine, you can open it, it’s ready to drink at any time. Green – Medium priced wine that can be shared with appreciative pals. Pink – A wine with a long finish, aged in the cellar, and not to be opened unless Darlene is present. She mentioned that a Goldeneye would be in this category. THREE PINK DOTS – “Don’t even look at this wine as it belongs to Darlene.” She is the only one allowed to open. In this category Darlene, gazing into Robert’s eyes, said, “Think magnums of Sea Smoke, Caymus or Dom Pérignon. FOR ROBERT’S CHARDONNAY – Must have a dot with a handwritten cross on it so that Robert can find it easily and the marriage can stay intact another 30 years. And keep a legend! Darlene has hers kept on the back of a wall plaque. “This will probably be 2015’s most exciting wine event featuring the world’s most popular wine. TCS was started about six years ago by the Santa Maria AVA folks, featuring local notables like Jim Clendenen, Adam Tolmach, Jonathan Nagy… It was basically a couple simultaneous panels with a Grand Tasting afterward. Over the years it attracted panel leaders like Steve Heimoff and Karen MacNeil and then last year moved to Pismo in a slightly smaller format, with Matt Kettman as panel leader. This year it seems to have exploded into an international event with the edginess of In Pursuit of Balance and the comprehensiveness of WOPN. There are Grand Tastings both Friday and Saturday; intriguing dinners both nights and seminars that will appeal to everyone from the Interested Consumer to the Over-Achieving Professional…” Santa Barbara Photographer, Bob Dickey. Thanks to Bob Dickey I had this great precursor to The Chardonnay Symposium (TCS). I was looking forward to my full-throttle education of all things Chardonnay, already knowing that the best way to learn about a varietal is to taste from different AVAs and winemakers. After experiencing TCS for the first time, I hope that more wine event planners move away from the “drunk fest” and into this arena as we, as attendees, not only learn more that way, but our winemakers are met with the truly interested and not just those out for a buzz. All of my notes are from the class (as that’s where I could sit and type on my mini) but I thoroughly enjoyed the two tastings too. If you scroll down to the bottom of this post I have highlighted my favorites in bold. Just check out the years of these wines – a “historic tasting” from 2011 back to 1994! If you haven’t had an older vintage chardonnay, or even if you have, there is something to learn from what a little age can do to a wine varietal not commonly aged. Fred Dame, MS, led our seminar. He started with a story of when he drank a 1929 Montrachet – a Chardonnay – that stayed perfect throughout a dinner. Dame said that we don’t cellar our wines, homes aren’t built with cellars and the average aging time for a wine is 8 hours. This may have been a jest but we all understood that the average consumer does not hold onto their wines for very long. They are usually purchased to drink now. Dame said, seeing us salivate, that this experience “is too dry” so let’s get started with the tasting. Original Chardonnay was called Pinot Chardonnay in the states. Martini planted Chards in the 50s and 60s. Most back then were fortified wines, and the vines were in mostly Riverside. The wines we have today are really newcomers. There are ongoing experiments using high elevation, and the older ones are doing really well. These two, Hanzell and Mount Eden, sell most if not all wine to members. First read on a plaque at a golf course, Dame shared, “Gentleman stand back a moment, you are one of the privileged few to have this experience” which we all found truly apropos for today as well. Winemaker Michael McNeill said that their wines are made based on their ability to age in the cellar. Hanzell built the first stainless steel fermentation tanks in the world. “A quantum leap as to what was done before” McNeill said. They “pioneered the use of inert gas” and wanted to use French oak to follow what was being done in France. (The new winery is now all from scratch, Dame added. The original Heritage winery is now abandoned.) McNeill’s first vintage would be the 2008 we were going to taste today. Along with Stoney Hill, these three (Hanzell and Mount Eden) were early big wineries, according to winemaker Jeffrey Patterson. Martin Ray, while recovering from a nervous breakdown in his 30s, bought Masson from Paul Masson – though Masson was sure he’d be successful if Ray bought and planted his own vineyard. Ray owned Masson for six years before he sold it to Seagram in 1943. Then Ray, heeding Masson’s original idea, bought the property right next door and planted Pinot Noir and Chardonnay. Patterson believes that his white burgundy (chardonnay) is comparable to a grand cru classic burgundy. First vintage was 1972 and Patterson has been there since 1981. There was a winter storm in the middle of bloom, following a cold winter, which made the crop small and the wine more ripe and concentrated. Pineapple, honey, lemonade; lemon, grass, low acid, medium finish. Light and clean, apricot, steely; tart apple, lime, nice mouthfeel, medium acid and finish. A warm vintage, especially during harvest, which was done in about 10 days. Toast, sweet citrus fruit, warm ceramic tile – if you can imagine that; really good fruit, balanced acid, lingering viscosity. One of three years where harvest was relaxed with moderate weather. Patterson picked it for us to have today because he liked it. White pepper, cigarette, pears in light syrup; very balanced, and a nice rich finish. Patterson said this was his worst vintage, and the wine got remarkably better with age. Anise, Brie, ripe pineapple; tastes like the same profile of a younger wine, very crisp, acidic, extremely long finish. Patterson used cross cultivation, no weeds, square grid and a 10 by 10 spacing, and that was the last year to use old vine fruit. Honey, jasmine, cling peaches; not that sweet on the palate as it was on the nose, creamy, beautiful fruit, clinging to my tongue but still craving more. Remarkable. My second favorite of the tasting. 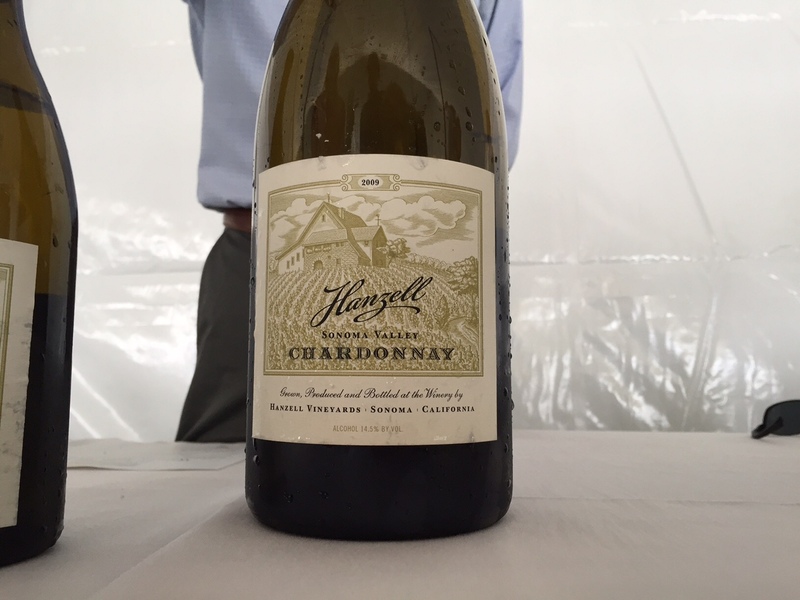 McNeill said that fine wine is incredibly inspiring, and these older wines show what Chardonnay can be. The most honey-colored of the older wines. Smells like a dessert wine, honeysuckle, very fresh, honey, hard candy; creamy, again not as sweet on the palate, but a perfect balance of fruit and acidity with a staggeringly long finish. Another learning experience, I agreed with McNeill, this is what Chardonnay could be. Between the seated and walk-around tastings I kept thinking, these are all very fine, whether the winemaker chose to use no or some oak contact; and 100% of the cellared older vintages were really interesting. I generally felt that the fruit and mouthfeel lingered quite pleasantly on the older wines, which was a new discovery for me. So I’ll be holding some in cellar from now on. And I gotta buy some magnums to do it! Maybe a 1995, our daughter’s birth year, would be a good one to seek out. World Of Pinot Noir Tickets On Sale! 2015 marks WOPN’s 15th Anniversary, fittingly our Crystal Anniversary. Expect legions of crystal stemware, filled with amazing wines, complemented by Santa Barbara Wine Country cuisine and all set on the shores of the Pacific Ocean – the edge of the Western Hemisphere. Events are sold on a first-come, first-served basis – we look forward to sharing a glass (or two) of Pinot with you. Start your journey on Friday morning when WOPN delivers the much anticipated Friday Seminar Series. World renowned wine critic and journalist Jancis Robinson will lead winemaker panelists Fred Loimer (Weingut Fred Loimer, Austria), Hannes Storm (Storm Wines, South Africa), Courtney Kingston (Kingston Family Vineyards, Chile), Grant Stanley (50th Parallel Estate, Canada), and Ted Lemon (Burn Cottage Vineyard, NZ) through a discussion and tasting comparing how Pinot Noir has expressed herself in those regions. The second half of the seminar will focus on our Featured Burgundy producer, Domaine Marc Roy. Fourth-generation winemaker, Alexandrine Roy will join Jancis for a tasting of wines from her family’s prestigious Gevrey-Chambertin estate. Our Friday Pinot Noir by the Sea Focus Tasting will feature 100 producers each pouring library and current release selections. Meet and mingle with the winemakers and hear their take on regional terroir and vintages. Make sure to check out all our winery participants, while you nibble on seasonal wine country appetizers from the Bacara culinary team. Don’t miss your opportunity to bid on large format silent auction items and sample the cheese display from C’est Cheese. It’s Surf or Turf…Water, Earth & Fire for dinner on Friday night at WOPN! Choose from a set of three very focused and intimate dinners from three of our favorite local restaurants. Choose Fire for the renowned wood-grilled fare from Hitching Post II restaurant and guest Chef Frank Ostini. Fire winery participants include Fess Parker, Furthermore Wines, Rusack Vineyards, Senses Wines, Angel Camp Vineyard, FEL Wines, Expression Wines, Maggy Hawk Wines, and of course Hitching Post II. Choose Earth for an incredible dining experience featuring gourmet and artisanal foraged and specialty foods (non-carnivore) designed for you by Chef David Rosner of Wine Cask. Earth winery participants include Sea Smoke Cellars, Anne Amie Vineyards, EnRoute Winery, and Erath Winery. Choose Water for the best of fresh seafood delectables prepared by Chef David Reardon of Bacara. Water winery participants include Flying Goat Cellars, J Vineyards, Heart & Hands Winery, and Presqu’ile Winery. The Bacara Wine Cellar will once again be the setting for the intimate Featured Burgundy Dinner. Three dozen guests will dine with our featured Burgundy producer, Alexandrine Roy. Domaine Marc Roy is one of the smallest domains in Burgundy and Alexandrine has graciously raided her own cellar for this special dinner. 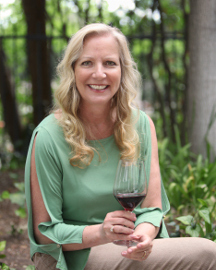 She has selected 2012 Marsannay Les Champs Perdrix Blanc, 2011 Gevrey-Chambertin “La Justice” and 2006-2009 Gevrey-Chambertin Clos Prieur to pair with the six-course, gourmet meal created by Chef Reardon. The Saturday WOPN Burgundy Seminar continues to receive accolades from industry and consumers alike. Don Kinnan has raised the stakes again. This year he is joined by wine educator Nick Poletto as they focus in on Côte Chalonnaise, Gevrey-Chambertin & Vosne-Romanée. Session 1: Explore Côte Chalonnaise which lies immediately south of Burgundy’s acclaimed Côte d’Or. It shares much in common with its illustrious neighbor: a history of viticulture going back to the Romans, a monastic influence in the vineyards, and soil types from the same geological period. We will delve into the wines from Mercurey, Givry, and Rully. Session 2: Determine if Gevrey-Chambertin or Vosne-Romanée will stake the claim as the producer of “Burgundy’s Best Reds.” This session will settle the controversy in a true courtroom fashion. The verdict will be yours. Will Gevrey with its Napoleonic endorsement and 9 Grands Crus take the title, or will Vosne-Romanée with its glamour and reputation reign supreme? Renowned for being a food friendly varietal, explore how Pinot Noir pairs with mushrooms and sea urchin at our Foodie Frenzy Seminars on Saturday morning. Listen to local funghi guru and educator Bob Cummings discuss everything about mycology and how regional Pinot Noir pairs with mushrooms. Local sea urchin expert, Stephanie Mutz, will lead guests on an exploration of this spiny creature with Pinot pairings from the Bacara culinary team. Enjoy 3 wine & food pairings at each seminar, a cooking demonstration, and the additional insight provided by our winemaker panelists including Ryan Zotovich (Zotovich Estate Vineyard), Gray Hartley (Hitching Post II) and others yet to be determined. The Saturday Pinot Noir by the Sea Grand Tasting will feature a different roster of wineries from California and even more wines from our international and regional participants. The Grand Tasting continues the World of Pinot Noir tradition of Pinot Noir by the Sea. The Grand Ballroom and Terraces will be the setting for more than 120 producers of our alluring grape. Chef David Reardon and his culinary team will pull out all the stops with tasty pinot inspired appetizers. C’est Cheese will be there with their incredible cheese tasting and our Silent Auction returns with a new slate of magnums, verticals and special bottlings. As this is the fifteenth anniversary of the World of Pinot Noir, you can expect a lot of crystal stemware to grace your table. Join us at the Black tie optional 6-course Crystal Anniversary Dinner and enjoy the exemplary service of our sommeliers and the exquisite wine country cuisine of the Bacara culinary team. Indulge on a library selection from the 2000 vintage as well as a current release from each of our featured participants: Talley Vineyards, Williams Selyem Winery, Calera Wine Co., Foxen Vineyard & Winery, Patz & Hall and one additional winery yet to be named. You’ll often hear our audience refer to rock star wineries, and at WOPN there is no shortage of rock star producers. This year we are paying tribute to one winemaker who has been crafting beautiful wines and been an integral part of WOPN for many years. It gives us great pleasure to honor Jim Clendenen of Au Bon Climat Winery as our featured Rock Star of Pinot Noir. Gear up for a little rock n’ roll under the stars with the Rock Stars of Pinot Noir Dinner event! Discover your perfect Pinot pairing with food stations designed by the Bacara culinary team and large format bottle selections from our winery participants. Bacara Resort & Spa WOPN Room Rates: Bacara is offering special WOPN room rates from March 1st through March 7th. Last year the resort was completely booked before February so please make your plans early for this upcoming year. World of Pinot Noir – Bringing Pinot Noir producers together with Pinot Noir enthusiasts for a weekend of celebration & education on March 6th & 7th, 2015 at Bacara Resort, Santa Barbara, CA. We look forward to seeing you at the 15th World of Pinot Noir! Grass Valley, CA – The premier tasting event for Zinfandel lovers will celebrate its 24th anniversary, January 29-31, 2015 with four festive celebratory events over three days that feature a diverse selection of wines and styles from renowned producers and emerging wineries. The Zinfandel Experience provides opportunities for both new and seasoned wine lovers to embrace the varietal’s evolution. Set at the historic Presidio overlooking the San Francisco Bay and the iconic Four Seasons Hotel, the Zinfandel Experience is the largest single varietal tasting of its kind, bringing together top producers and wine lovers to celebrate America’s grape. 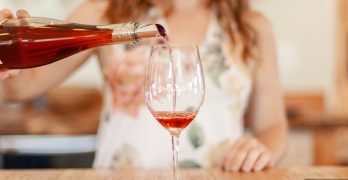 “In response to feedback, the Zinfandel Experience is better designed to help attendees make meaningful connections with winemakers, winery owners, and fellow enthusiasts. Flights! is a professional tasting seminar focusing on highly allocated, limited production Zinfandels. Experts will offer insights while participants experience the range, depth and character of the wines. ZAP is partnering with the Historic Vineyard Society to present wines from exceptional old vine Zinfandels. Space is limited. Go glamorous! Mad Men, the popular TV show, is the inspiration for the Winemakers Reception, Dinner and Auction. The stylish, sleek, and jazzy atmosphere captivates as the city lights of San Francisco dazzle. The enhanced reception features winemakers ‘pouring it big’ with magnums and reserve offerings. The intimate dinner hosted by celebrity winemakers features a menu that boasts the best in farm-to-table cuisine. Limited offering wines, one-of-a-kind lots, rare bottles, wine-related experiences and more will be offered at the silent and live auctions. Proceeds benefit ZAP’s programs, education and Heritage projects. Dress in vintage fashion flair and celebrate the mod mood of 1965. Golden Gate Club & Film Centre, Presidio of San Francisco The centerpiece of the 2015 Zinfandel Experience is The Tasting, where wine lovers engage in personal conversations with winemakers while exploring the flavors of Zinfandel blends, single vineyards and old vine Zinfandels or discover the distinctive dialects of Zinfandel growing regions. Special workshops on terroir, wine-making styles and sensory aspects will be held. At the reserve and barrel tasting, one hundred winemakers and principals will offer a “sneak peak” tasting at their tables for VIPs and all day ticket holders. For package details, special ZAP member and non-member ticket prices, information on the ultimate VIP Package and a list of participating wineries at each event, visit Zinfandel Experience. For information on other sponsorship opportunities, contact the ZAP office. Like us on Facebook and Follow us on Twitter. Zinfandel Advocates & Producers is a 501(c) (3) non-profit, educational organization dedicated to advancing public knowledge of and appreciation for American Zinfandel and its unique place in our culture and history. Winegrowers, winemakers and wine enthusiasts comprise the membership. The common focus is the preservation and recognition of Zinfandel as America’s grape. The Zinfandel Experience is the largest single varietal tasting of its kind, now celebrating its 24th year.